With the moniker “Crossroads of the South,” Jackson has long been known for its critical importance to the state of Mississippi and the broader region. The town’s industries range from financial activities to Federal government services to automotive manufacturing, bringing in ample jobs and wealth while attracting new residents from all over the country. ExpeditedFreight.com keeps Jackson’s stores and warehouses fully stocked so that everyone in the area has what they need to succeed. The Jackson metropolitan area has a population of more than half a million, making it the largest metropolis in Mississippi. Such a large population requires constant shipments of food, fuel, building materials, creature comforts, and countless other supplies. Meanwhile, local businesses have similarly pressing demands. Consider the Nissan production plant, located in the Jackson suburb of Canton. This facility requires metals, tires, gaskets, and a range of other tools and inputs on a regular basis, and not one of these items can be damaged on the road. Carriers thus have their hands full supplying businesses like this and the people of Jackson at the same time. Widespread Operation - We have coverage in all major American and Canadian metropolises. This means that when you are shipping into Jackson, we will almost certainly have vehicles and personnel near your starting point, no matter how far away it is. They can load your goods and be on their way in as little as two hours. 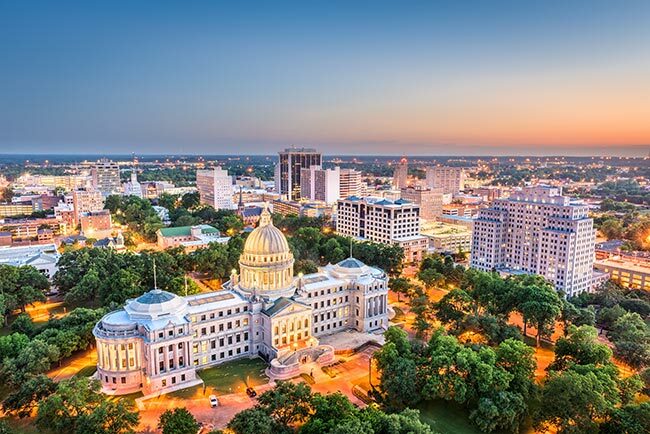 Our team also operates throughout the Jackson metropolitan area, including in suburban and satellite communities like Natchez, Hattiesburg, Meridian, Vicksburg, and Canton. Dedicated Solutions - Given the need to ship so many different products for Jackson’s businesses and population, ExpeditedFreight.com has forgone the traditional practice of lumping multiple clients’ items together. Instead, we reserve a vehicle for each client, matching it to the size of their payload. This way, we don’t need to travel to anyone else before we get to you, speeding up the delivery. This step also helps us accommodate the storage equipment needed to protect highly delicate or perishable shipping items. Trucker Teams - For all but the shortest express freight jobs, we mandate that each vehicle must have two drivers in it, and that the drivers must share their work evenly. This way, both have a chance to rest, allowing them to drive safely without needing to stop the truck overnight. Customer Support - ExpeditedFreight.com never leaves you waiting in the dark. While your goods are on the road, you can call our customer support office at any time, day or night. We’ll tell you the precise position of the vehicle carrying your goods, taking advantage of the advanced monitoring equipment that we have invested in. We'll also answer any other questions you have about your order, or give you a free quote on the price of future orders. 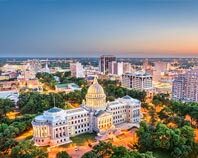 To learn more about ExpeditedFreight.com’s expedited freight services in Jackson, Mississippi or request a free quote, contact us today at (769) 553-4413.